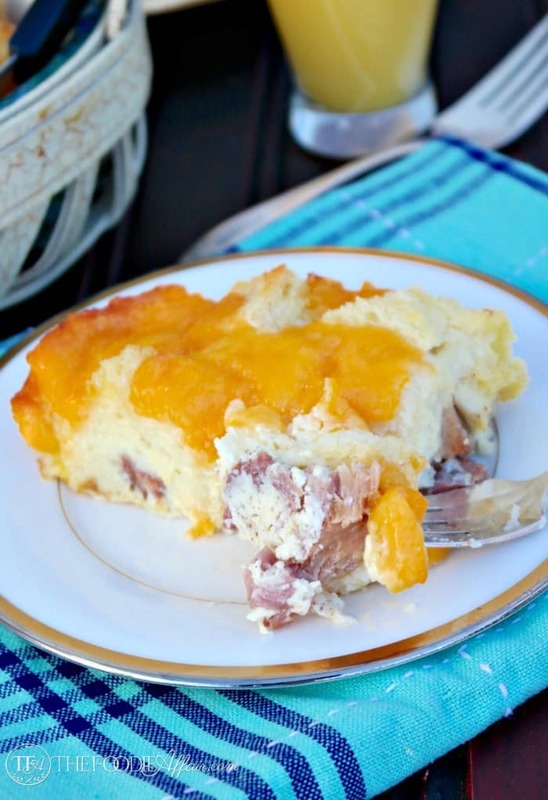 This gooey cheesy overnight ham egg casserole is sure to please a crowd! Make this a day ahead with leftover ham and day old bread for an economical meal! One of the best part of making a breakfast casserole is that you can toss leftover ingredients together with eggs and you’ve reinvented a complete NEW meal! I made this casserole for Christmas morning along with oatmeal for the non-meat eaters, but this is also great to make for just a couple of people. Slice it up and pack for breakfast on the go! We ate pre-cooked spiral sliced ham the week of Christmas, which was nice to have on hand since we didn’t keep any type of a meal schedule. We were busy with baking, wrapping gifts, and checking out all the pretty lights in the neighborhood to sit still. With ham all you really need to do is heat it and it’s done! Boy we really stretched that piece of meat into several meals, but after days of sandwiches and ham with fluffy whipped potatoes, a breakfast casserole was the perfect way to polish off the rest of the meat! Since you make this a day ahead you just need to pop it in the oven in the morning! While it’s cooking kick your feet up enjoy a warm cup of coffee! 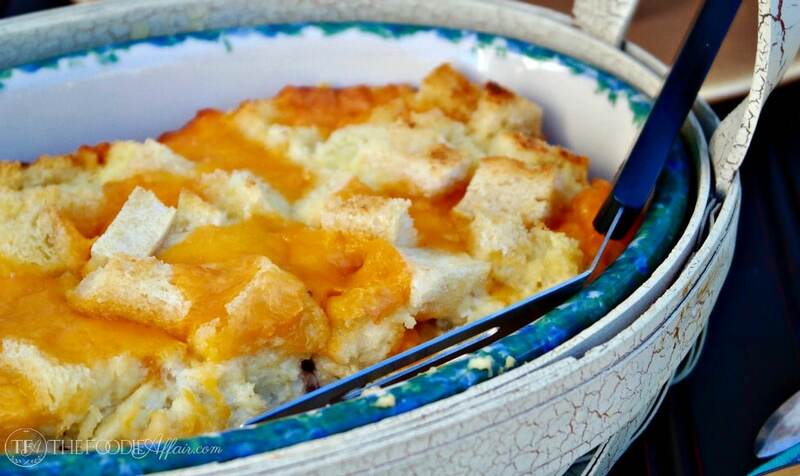 Toss bread and ham together and put on the bottom of the prepared casserole dish. Add cheese chunks to the top of the bread and ham. In a large bowl whisk together milk, eggs, mustard powder, salt and pepper. Pour over the casserole and press down any pieces of bread that sticks up so that each piece has an egg coating. Cover and refrigerate overnight. Preheat oven to 350 degrees. Add casserole and bake uncovered for about an hour or until cheese is melted and a knife inserted in the center comes out clean. As a non meat eater. I would eat this minus the ham. Looks yummy. That looks absolutely heavenly! I love breakfast food, so this would be awesome to have! You got me at cheesy and gooey. This is something that I am excited to try at home. This is definitely a lovely breakfast to wake up to! 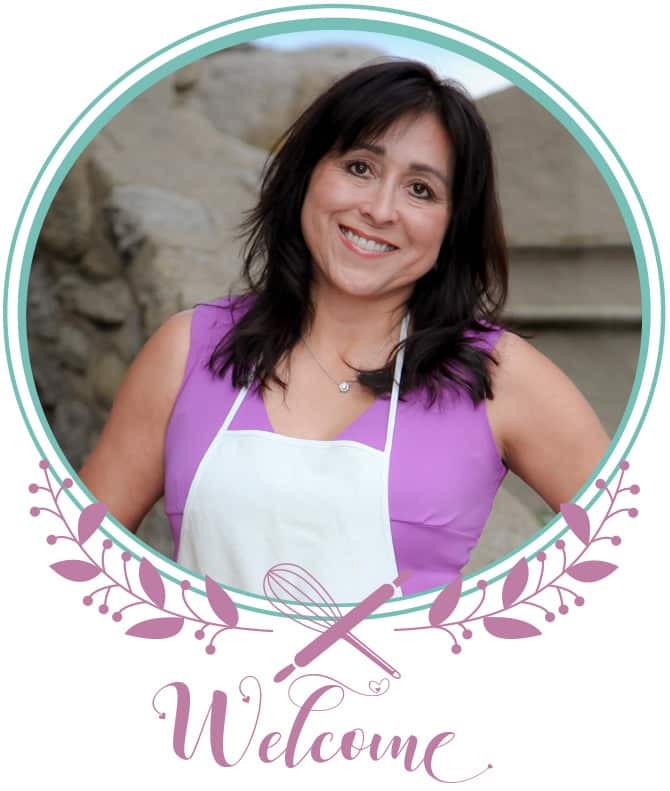 I’d love to try this recipe, thanks so much for sharing it! Pity I had no one to make this for me this morning! Looks delish! Yum! I love breakfast foods, and this one looks great! This would be a nice change up for breakfast and would go perfect with a hot cup of coffee. Looks delicious! I love egg casseroles! This dish looks and sounds delicious! Thanks for sharing. 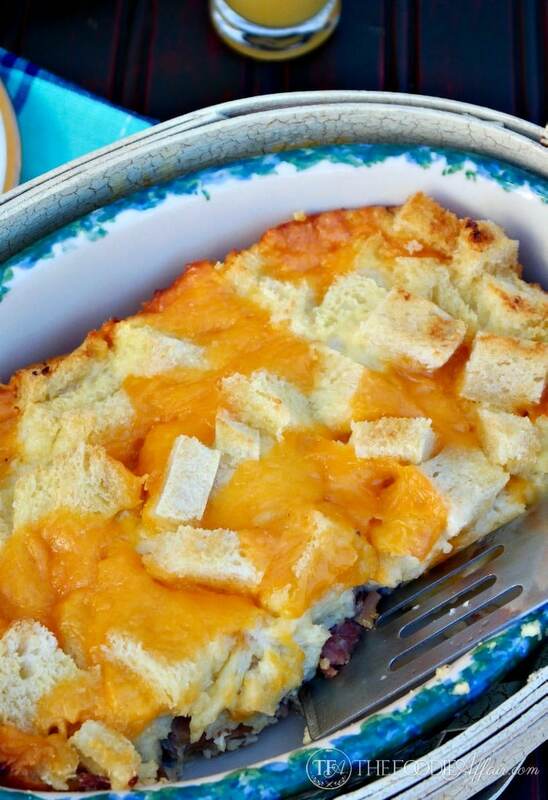 I love egg and ham so I know a casserole with both will just be amazing! Will have to give this recipe a try for sure! 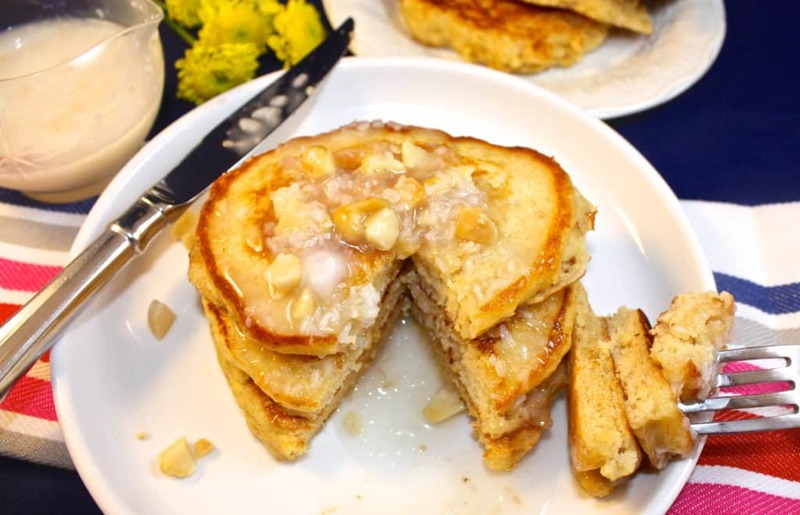 This looks great.. always looking for ideas like this for family weekend breakfast ideas. Pinned. Thank you for the pinning love! Sure appreciate that and I hope you make this for your family soon! 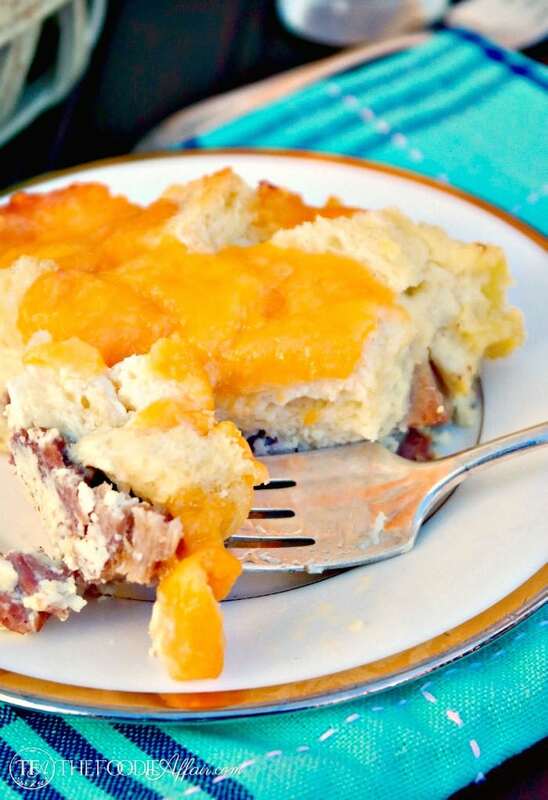 This is perfect for a holiday breakfast or even a weekend brunch. Love it. Thanks, Stacey! It’s a great recipe to share for sure!